The north of England recently played host to two successful regional stroke events led by Getting It Right First Time (GIRFT) clinical lead Deb Lowe and senior clinical advisor David Hargroves. The events were part of a series of regional stroke meetings taking place around the country, bringing together the providers of stroke services to discuss ways to deliver better services on a regional footprint, rather than at an individual trust level. More of these regional events are scheduled throughout 2019. 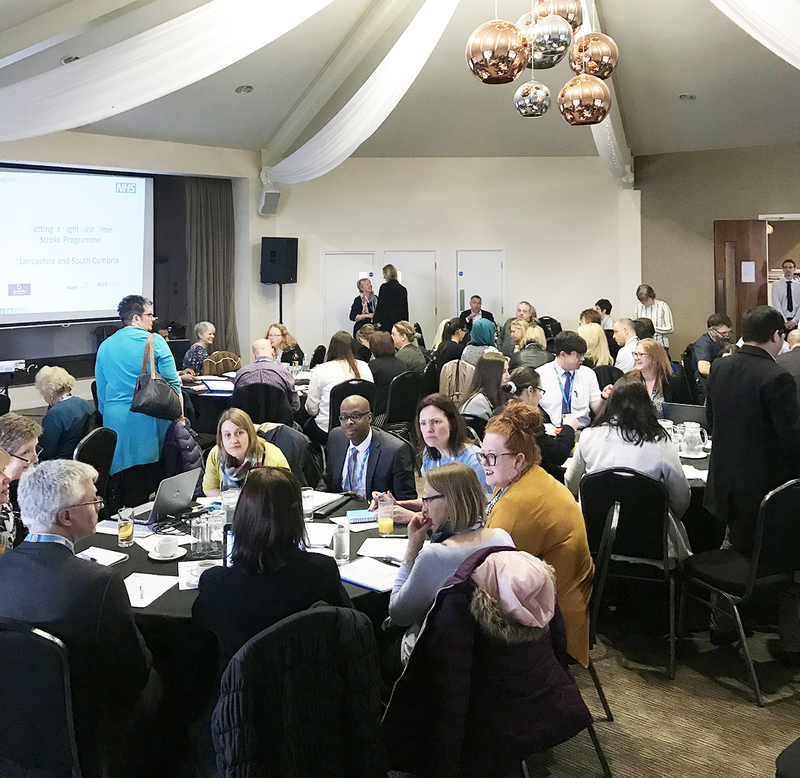 The north west event, held in Preston, was well attended by trusts in the Lancashire and South Cumbria STP area, acute providers, community rehabilitation teams, commissioners, NHS RightCare and Public Health England. Engagement throughout the day was excellent and attendees heard presentations from Deb and David, as well as a series of guest presenters representing tertiary organisations within stroke healthcare. At the north east event in Sunderland, eight trusts were in attendance to hear the GIRFT leads give a report on the region’s stroke care, before hearing external presentations from organisations such as the North East Ambulance Service and The Stroke Association.